Appearance: mixed leaf colors from russets, to dark umber, to silver. Consistent, well-shaped, ‘open-chop’ leaf. This tea was harvested at the most premium time of the plucking season for 2nd Flush tea in Darjeeling and it is a special, limited production, early-spring tea. This tea is a real treat to be able to offer. As this tea is made using China tea bush varietal leaf, it can be easy to over-steep. Try steeping it twice, first for 90 seconds, and then, as you would with an oolong or green tea steep the leaf again for 2-3 minutes to obtain a second cup (using freshly boiled water.) It also steeps gloriously in the traditional manner: for approx 3 mins. This particular pluck is quite voluminous, so it needs a generous measure if determined by volume measure rather than by weight. The 2 teaspoons in our measurement will yield approx. 2.5 grams of leaf by weight. Our goal this year was to procure 2nd Flush Darjeeling teas with a soft, very-slightly astringent flavor profile and a deep, full body. We think our Darjeeling choices for 2018 reflect this style very nicely. Bob selected Tea Trekker’s 1st Flush and 2nd Flush Darjeelings for 2018 both a little late and a bit early this year due to the ‘new-normal’ of finicky weather. If you are looking for a clean, elegant Himalaya black tea to substitute for 2nd Flush Darjeeling, we recommend our Sikkim or the Nepal Dark Heart. This 2018 Glenburn Tea Estate 2nd Flush Darjeeling tea was plucked in June of this year. It is a mid-season specialty tea with a limited production. The leaf is plucked by the ‘first string’ tea workers, at the very beginning of the second pluck who are carefully harvesting the premium crop of 1st and 2nd Flush leaf that will be the basis of the season’s (and therefore the year’s) economy for this tea estate. The aroma is slightly raisin-y, but mostly brisk, with hints of fresh hay and herbs. 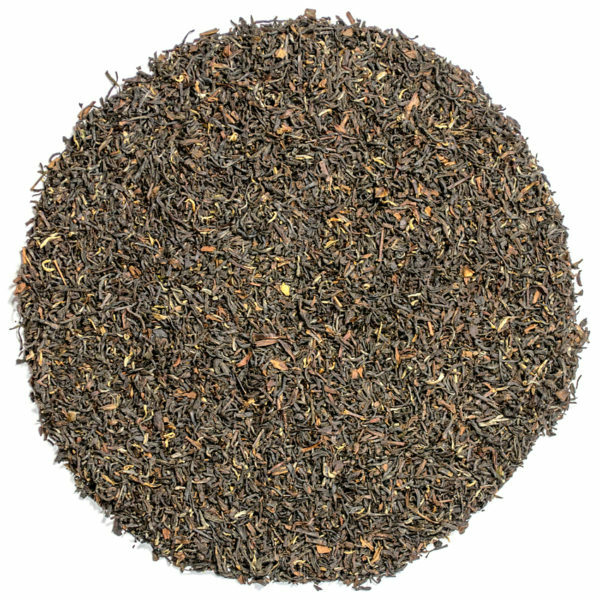 Its flavor is forthright but sweet, and extremely rich, which is unusual for a china bush Darjeeling tea. 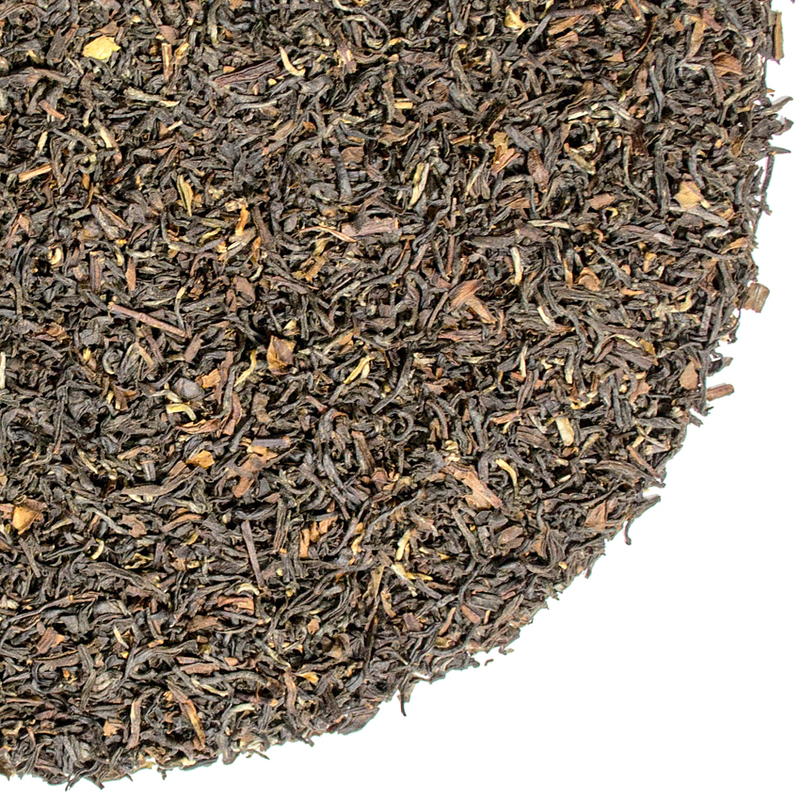 It is in many ways a quintessential 2nd Flush Darjeeling tea: flavorful and deeply full-bodied, with the softer, delicious flavor for which 2nd Flush Darjeelings are famous. This tea shows its pedigree well and is a classic manufacture. It is truly delicious! Our 2018 Glenburn Tea Estate 2nd Flush Darjeeling selection is from a section of the tea garden that still maintains old China tea bush varietals. The yield from this section is low but the tea has excellent flavor. The weather conditions bring out the best flavor from these tea bushes in the spring. Glenburn Tea Estate is small – the total acerage of the estate is about 1,800 acres, of which only 704 acres is cultivated for tea. Nevertheless, the estate produces on average 125,000 kilo of tea a year during the 4-seasons of production. Forest reserves, rivers and cool Himalaya air contribute to the unique taste of Glenburn Tea Estate Darjeeling tea. The Glenburn Tea Estate is located in the Glenburn Valley at an altitude of approximately 3,200 feet. The tea garden is about 3 hours from the Bagdogra airport. The journey to the estate follows the course of the River Teesta ( take a left at the bridge or you will arrive in Sikkim) before the climb up towards Darjeeling, and then there is the visually stunning drive down into the Glenburn valley.